Stop renting and starting owning! 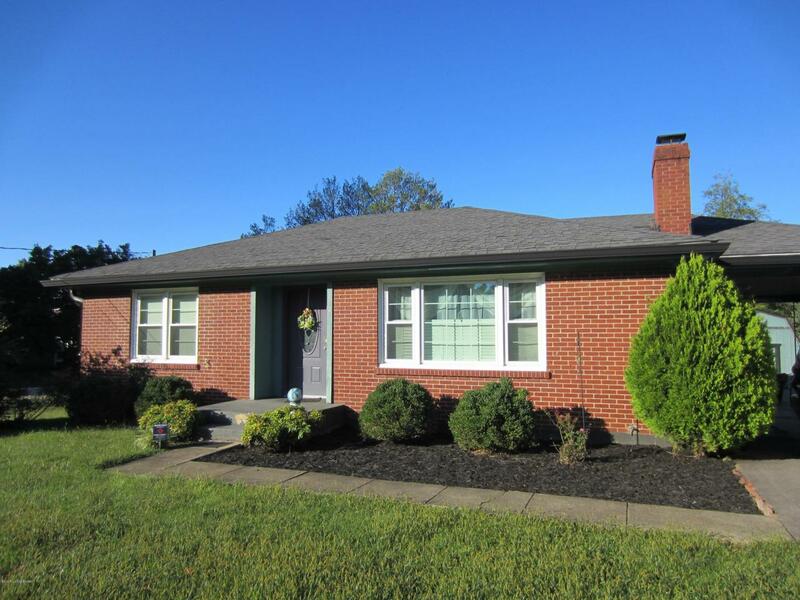 This Oldham County home sits on a corner lot on a quaint street just a short walk to Walsh Park. The expansive living room features easy-to-care-for laminate flooring and fireplace with gas logs for those upcoming cozy winter nights. You'll find ceramic tile flooring in the kitchen, laundry room and full bathroom. The laundry room provides access to the backyard to serve as a mud room and boasts a pocket door for noise reduction. You'll find the bedrooms are spacious to fit your furnishings. No more carrying groceries in the rain with the attached carport that can also serve as a patio for covered entertaining! Country living so close to city amenities is hard to find so don't let this one get away!